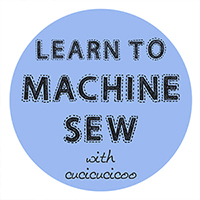 After a bit of a break, welcome back to the Learn to Machine Sew series for beginners! 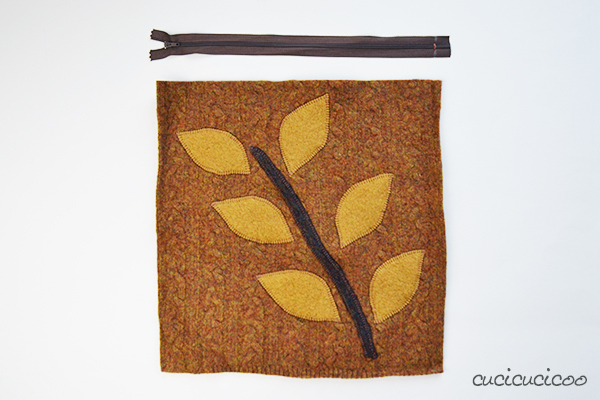 Bet you thought I forgot about publishing the tutorial paired with the lesson on how to felt wool sweaters, huh?! No chance of that! 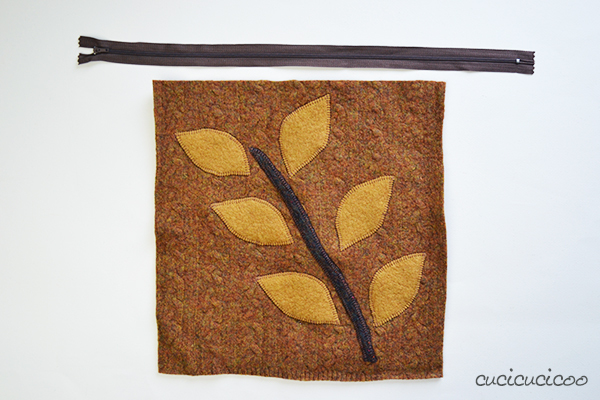 It’s just that, with posts on Me-Made-May 2015, patterns I tested for other designers, and a couple of posts for the Eco Crafters and Sewers series, I just couldn’t fit it into my schedule. But guess what? 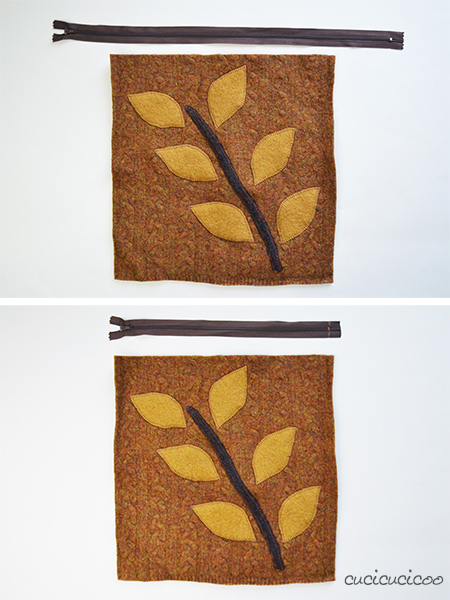 You’ll have to wait a little longer because while I was preparing the tutorial, my zippers were too long and I realized that it was a great opportunity to fit in another very useful mini-tutorial! 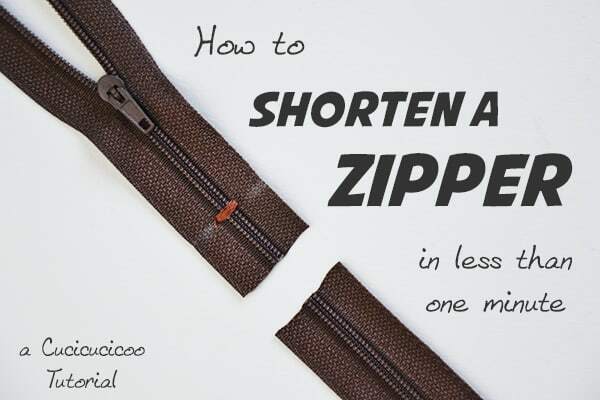 So, if you’re worried about ever being in this predicament or needing a non-standard zipper length, just read on to find out how to shorten a zipper in less than one minute! Before starting, I highly recommend you read my lesson on zippers if you’re not used to working with them. Zipper teeth can be made of one of three materials: nylon, metal or plastic. Shortening metal zippers is possible, but more complicated and require tools to manually remove the teeth. I honestly am not sure about shortening zippers with large plastic teeth because I’ve never done it myself. 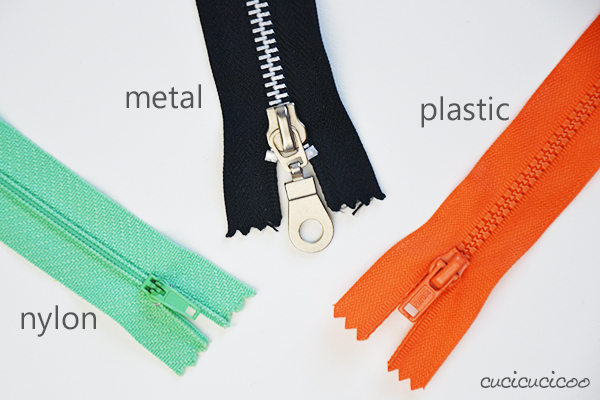 This tutorial is only for zippers with nylon teeth, because they are softer and can be cut and sewn through without problems. Please don’t try this with metal teeth, because you will definitely break your sewing needle and damage your scissors. Now that we’ve got that out of the way, let’s get started! 1. 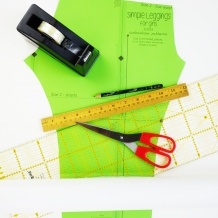 Determine how long your zipper needs to be. If you’re using a sewing pattern, check the materials list. In my case, I needed a 33-cm-long zipper. 4. Cut off the excess zipper about 2 cm below the stitches. And you’re done! Wasn’t that easy? 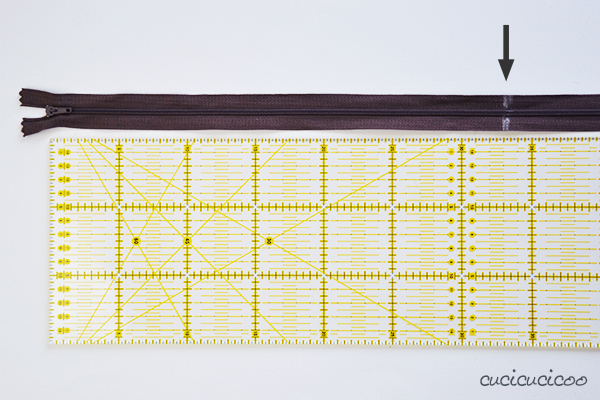 Now you’re all ready to sew your project! 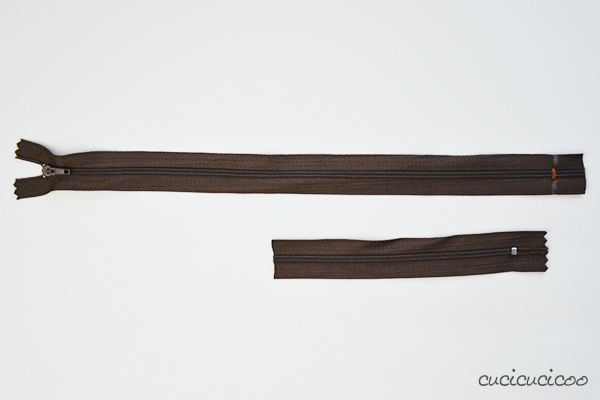 In the time it takes to measure, mark, sew a few stitches and cut (definitely less than one minute if your sewing machine is already out and threaded), you can acheive the perfect zipper length for your sewing project! Yah! 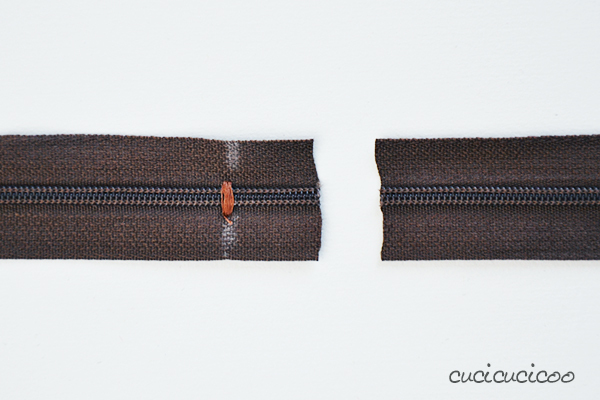 This mini-tutorial on how to shorten a zipper is part of the syllabus of Cucicucicoo’s beginner’s sewing course! Don’t forget to share pictures of your work on the Cucicucicoo Creations Flickr Group or the Cucicucicoo Facebook page! Tutorial molto utile! quante volte mi è capitato di scartare le cerniere troppo lunghe…temevo che tagliandole avrei combinato un guaio…Grazie mille! Invece, se fai attenzione, nessun guaio! Sono contenta che ti sia utile, Ste! Sai, questa è una soluzione che adotto spesso, solo che non avevo mai pensato di farlo a macchina; lo facevo semplicemente a mano (e diciamo che così, però, si possono accorciare tutte le cerniere 😉 ). 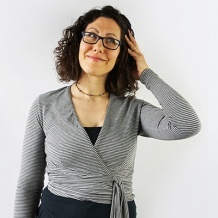 I’m Lisa, otherwise known as mamma, wife, expat, handmade enthusiast, treehugger. 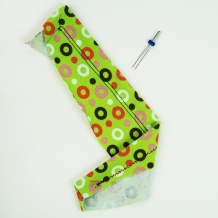 Are you a sewer, crafter, refashioner or upcycler? Or maybe you want to try? Come join in on the fun! How to sew a circle skirt – free pattern!